With the festive holiday season arriving all too quickly, none of us want really to think about it, but insurance can be important over this coming period. Whilst there are often no major issues there are some points to consider. A standard household policy (e.g. Axiom) covers an additional 10% of the contents sum insured for gifts bought for up to 30 day before and after Christmas. It really depends on what sort of party it is going to be – a few people over wouldn’t be an issue at all, although generally theft and malicious damage caused by guests would be excluded. If it was going to be a big party then there is separate event insurance to cater for this, which would come under the Commercial Teams cover. As to how big a party needs to be before a specialist policy is taken out will depend upon the insurer. As an example we had a client recently hire a £25,000 marquee. It wouldn’t normally be covered by the policy however the insurer agreed to provide cover for an additional fee. Generally you should check your policy wording, as each insurer would have a different wording and limits of cover. Fairweather Insurance clients can always call us to discuss their needs. 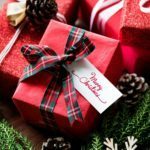 Do you need additional Insurance during Christmas and New Year? Call our Specialists on 01753 882222 or Request a Callback. Our friendly, professional specialists are here to help with all your insurance needs regardless of how complex they are.